Other shared that they thought that when covenanted communities are given the right to vote, that this will bring more people to the table. This may be true, but I can't help but wonder about scalability in this situation. If a covenanted community of 10 people gets 1 delegate, then a congregation of 1000 would presumably get 100, at which point it seems as though we might as well just give everyone the franchise. Others leaned on our history in one of two ways. First, some felt that our system is “how we have always done it” and that therefore it should not be tinkered with. This is not actually accurate. At it's formation, and until 1900, the AUA was only an organization with individual members. But this was before the internet, so people were not well connected to one another and this made the organization weak. The Unitarian universe was given an important boost in 1900 when the AUA merged with the National Conference of Unitarian Churches, which was congregations only. When the UUA was formed, the original bylaws had language in them around “Life Members” until the last of the Life Members died and that part of the bylaws were amended, sometime in the early to mid-90s (I believe). The second way people leaned on our history was to talk about what it means to be a Unitarian Universalist. In the early 90s and into the early parts of the 2000's, there was a resurgence of interest in congregational polity. This resurgence contained within it the idea that you can not be a “real” UU unless you belong to a UU congregation. This membership argument proposed that those hundred thousand (or more) people who say that they are Unitarian Universalist but who don't belong to a congregation, really aren't UUs after all. This resurgence in covenant was important, because at the time we were really struggling to shift from a focus on who weren't towards a more positive focus on who we are. By saying that covenanted community is what makes a UU, we were finding a positive (though very limiting) way to claim our identity. Finally, when arguing against the idea of moving toward direct democracy, some people said that before we consider moving to such a model, we would have to have a better idea of what “citizenship” in the UUA meant. What would the requirements be? I think I have a way to satisfy both the history folks and the “need a definition folks” in one big way. If we were to move towards direct democracy, I think that we could make “participation in a Unitarian Universalist Covenanted Community” a requirement. 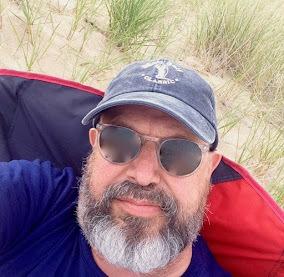 Please note that I am using this term in the broadest sense: congregations are covenanted communities, but so are UU summer camps, and so are online communities, professional organizations such as the UUMA, and so many more. The UUA Board (with help!) would need to figure out how to define a covenanted community – I know they are working on it already. In this model, Covenanted Communities would be able to define for themselves what “participation” meant, just as congregations can define for themselves what “membership” means. Some congregations have a financial donation as a requirement of membership, some do not. Some covenanted communities might have “participate in outreach once a year” or “volunteer in some capacity” or “show up” as requirements. This would be left to the covenanted communities to determine. And I don't think it needs to be too confusing. Tracking participation could possibly use the same system we use now. Congregations are supposed to update their membership information when new members join and when old members leave. This membership information means that they get the UU World but also places them on the mailing list for other UU-related issues as well. If our system is not robust enough for this level of tracking, well then we need some major technological upgrades because we should have a robust database that allows us to do all sorts of data mining. Would this allow all the “free-range Unitarian Universalists” to suddenly have a say at General Assembly? No, because many of them don't participate, and won't, in any covenanted communities. But there are certain groups of people who would: young adults who participate in campus ministry, families who attend UU Camps but do not hold membership in a local congregation, DREs, community ministers and other religious professionals who often don't get to be a delegate but who are very invested in the present and future of our faith tradition and who are members of their professional organizations (which definitely seem to me to be a covenanted community!). Some might argue that these folks could/should just go join the CLF. For some, perhaps, this is a viable workaround. But it isn't for everyone – and certainly not for religious professionals (for whom we have inadvertently created a second class of ministry). The UU Chaplain who works in a town without a UU congregation does not necessarily get to be a delegate if she joins the CLF, though other ministers who are serving or affiliated with congregations are still granted the franchise. So, to summarize: I was originally proposing a move from indirect democracy to direct democracy as a thought experiment. While I am still open to considering alternatives, I am finding myself more and more excited by the possibilities. And I am deeply disappointed that this option was not discussed at all on the current “Re-Imagining UUA Governance” survey. We have a history of allowing individual members, and the internet and social media are wonderful correctives to the disconnection that the AUA struggled with (and was weakened by) in the late 1800s. 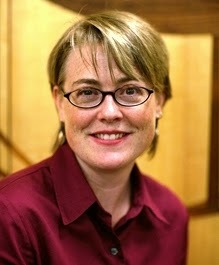 By requiring “participation in a covenanted community” as a requirement of UUA membership for individuals, we address the concern of the centrality of covenant to our relationships with one another, as it is in covenanted communities where we grow into our best selves and search for truth and meaning in our lives. These communities are where we worship, grow, share meals and serve together. They are where we explore and live our our values. Shouldn't all Unitarian Universalists who have found such a community, whether it is a traditional brick & mortar congregation or in an emerging online covenanted community, be able to have a say in the direction of our faith tradition? I'm a big supporter of the idea of finding ways to honor and incorporate those who are part of our religious movement but not necessarily a member of one of our congregations. Yet I started reading wondering what the issue could be and thinking that GA is such a meaningful site for forging our sense of unity of purpose why mess with it. By the end I got how this identity forming part of UU life namely GA is base camp for a campaign to pushing past our congregational affiliation to something broader. Also loved the insight you offered about our more recent history. 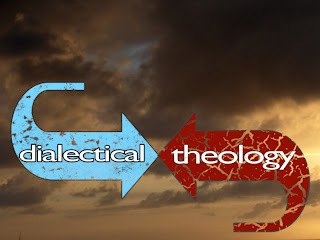 It was important to get a better sense of the particular ideological orientation in the 90's and early 2000s when I was in Div School and starting in professional ministry. Di spite all that critical postmodern reflection on subjectivity I still harbor a nagging suspicion that what was when I was forming my ministerial self concept was weighted just a bit more toward the universal somehow even more so because after all we where the ones who where in on the secret of there being no foundational truths right from the start. We never presumed there where and somehow I morphed that into a foundational truth . I guess I just mean-- you shook my assumptions up a bit and gave me a better understanding of the cause I support and a new appreciation of broader democratic governance as a strategy in advancing that cause. Thanks. I have a an understanding of “participation in a Unitarian Universalist Covenanted Community” that includes a high level of mutual accountability in service of our shared transcendent values. I think we need to be in regular, ongoing contact with that community to be in a covenantal relationship. Maybe that community doesn't need to be a congregation, but I'm not sure that a community that connects only 1 week out of a year provides on ongoing, accountable relationship that is a part of my understanding of covenant. Good point about one week maybe not being enough if all you do is show up, but if you are involved in the planning I can see how it would take a lot more time, and a lot of discussion of how things fit into the mission/vision, which would fill some of that, I think. I would leave it to those wiser than I to determine the criteria for participation, but it would certainly be much broader than official membership (which is becoming more and more meaningless) in a brick & mortar congregation.